Today, 24 copies of “Assassin Marked” arrived in the mail. The paper copy turned out very nice. Looking the book over, my wife and I discussed the idea of turning the story into a graphic novel. I think it would be a very cool graphic novel; unfortunately, I am definitely not capable of illustrating anything myself. Finding someone to do the cover was well-nigh impossible. So maybe someday. In “Assassin Marked, ” the locations are backdrops and not fully elaborated on in the story; however, in the DuFonte Chronicles setting, Arbona and Penelope are advanced O’Neill Cylinders. 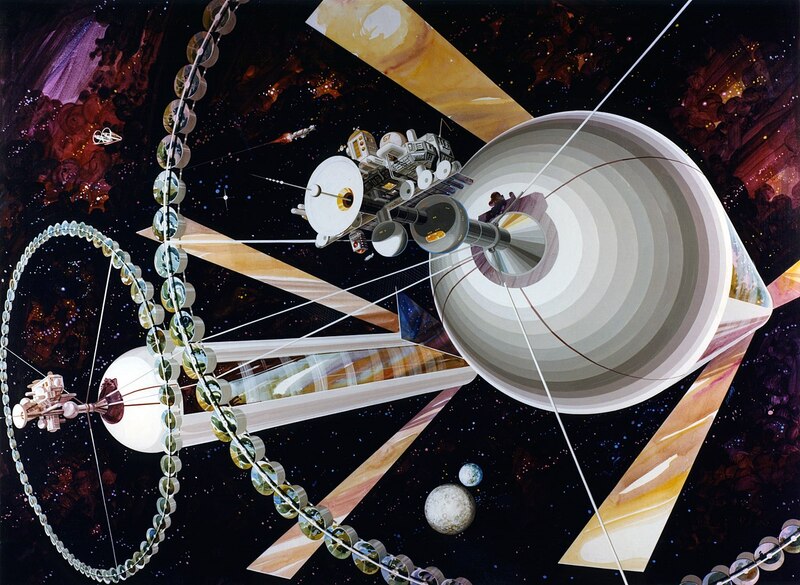 Gerard K. O’Neill, an American physicist, proposed the design of these Cylinders, as conceptualized below. If you’ve read “Assassin Marked,” would you be interested in seeing it in a graphic novel form? If so, let me know in the comments below. As always, your input is appreciated! After a late night of last minute editing and fussing with Amazon Direct Publishing, my first short story is published. 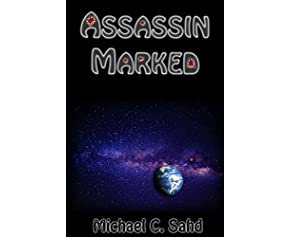 Assassin Marked tells a story of a man and his lover who work for the mafia in a futuristic setting. I believe it is an interesting read. Although I have overcome a great hurdle, my nerves are twisting into a ghastly knot, much like a pile of unraveled yarn. The pressure to provide more stories to the public weighs heavy on my mind. The last thing I want to do is provide this one story and then not release anything again until years later. 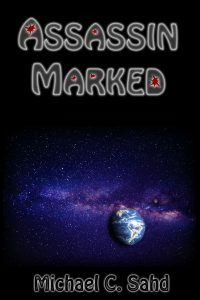 Assassin Marked, which I began to write almost ten years ago, had sat complete and edited for almost a year now (maybe more). I’m really hoping that future stories will come more quickly. Yet I’m not done with Damian. Already, work has begun on a larger story involving the assassin, and the addition of some new individuals. Meanwhile, Balanced Tipped faces a serious revision, but I’m confident that I will turn it in to my editor, Laura Pruett, very soon. Incidentally, if any of you reading this article are in need of an editor, click on the link I provided. I know of no better editor than her. Keep checking back here for more information on published works. I’ve heard the first step to recovery is admitting that there is a problem. For many years, I’ve aspired to join the ranks of the multitude of writers whose works are sitting on the shelves of local book stores and libraries. Unfortunately, I am one of those who has difficulties writing continuously, I constantly find myself fixing spelling and grammatical errors as I write. Worse than that, I sometimes revise what I write while I’m still in the process of creation. 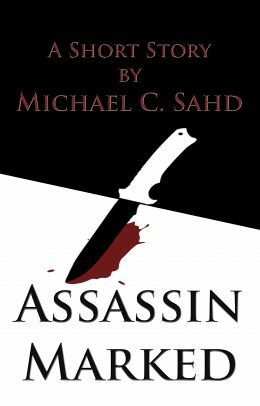 “Assassin Marked,” sadly, took me over a year to get to the stage it’s in now, and all I needed was a cover. Still, I find myself nervous. What if it doesn’t do well? What if nobody is interested? Well, this week, I am going to take the plunge and publish on Amazon. If it doesn’t do well, then at least I’ll have my name out there. In the past, I always felt that writer’s block was my biggest problem. After finally finishing a piece and readying it for publication, I find that finding an artist poses a much more harrowing task, especially when low on funds. At least with writer’s block, my issues stem from self-induced obstacles, but finding an artist is beyond my control. Over on Goblin Savant, I had my friend Ian illustrate Gerald der Zeichner, the Goblin Savant. However, finding suitable art to portray my protagonist in Assassin Marked proved nearly impossible, and after months of searching, waiting on the good graces of others, I decided to dust up my own Photoshop skills. I created a very plain cover in art noir that I am extremely pleased with. Please feel free to let me know what you think, either as a comment here or as a submission via my contact form. While you’re there, don’t forget to sign up for my monthly newsletter for your chance to win a prize.